The Limhamn Chess Club is proud to invite the players, the chess audience, the media and the sponsors to the 25th annual Tepe Sigeman Chess Tournament. The tournament will take place at the Malmo Live conference centre in central Malmo. This year, eight players will play seven rounds, and as usual, the field is very interesting! The home team comprises the defending champion GM Nils Grandelius (winner in both 2017 and 2018) and another former champion, GM Tiger Hillarp Persson (winner in 2008). The highest rated challenger is Indian GM Pentala Harikrishna , who for many years has been the second highest rated player in India, after legendary former world champion Viswanathan Anand. He is accompanied by fellow Indian GM Nihal Sarin, who, at 14, is considered to be one of the biggest talents in Indian chess. Another young talent is the current Junior World Champion, Iranian GM Parham Maghsoodloo, by many considered one of the most talented young players in the world. Among the participants are also two European champions, GM Dieter Nisipeanu from Germany (who won in 2005) and GM Ivan Saric from Croatia (who won in 2018). Finally, there is English GM Gawain Jones, twice winner of the English Championship and a well-known author of chess books. 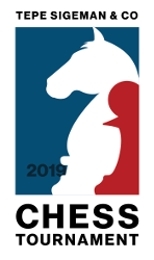 As usual, only players known for their fighting skills have been invited, and we would like to congratulate all chess fans to the opportunity to once again see world-class chess live. Do not miss the opportunity to visit Malmo Live and follow the games live, guided by our commentators, grandmasters Yasser Seirawan and Stellan Brynell. For those who are not able to visit Malmo Live during the games, it will be possible to follow all games live on the Internet (www.tepesigemanchess.com). We would also like to thank all our sponsors, TePe, Sigeman & Co, Malmö Stad, Schackakademien, PWC, Mobile Labs, Management Partners, Grenspecialisten, Malmö Live, Ferring Läkemedel, Servicekuben, Wise IT, Max Matthiessen, AWA Sweden, Softhouse Consulting, SEB, Informationsteknik, Hotel Duxiana, and all others who once again have contributed to making this traditional chess event come true. Once again, welcome to the 25th annual Tepe Sigeman Chess Tournament!